Think you know the North Shore? Well think again, because Seymour Village is about to change the way you imagine life in North Vancouver. A partnership between the Tsleil-Waututh Nation and Aquilini Development, this spectacular 25-acre master-planned community is surrounded by majestic forest, mountain grandeur and the lush greens of the Seymour Golf & Country Club. Here nature’s landscape is your backyard. Now here’s the news people have been waiting for: the long-anticipated third phase of homes at Seymour Village has been released – and they’re already turning heads. The crisp angularity is dramatic and distinctly 21st Century, yet there’s also an inner sense of the organic minimalism that defined Frank Lloyd Wright’s trend-setting designs. Each façade features extensive use of expansive windows for incredible access to natural light. Glass with metal railings defines the generously-sized balconies overlooking the private fenced yards. 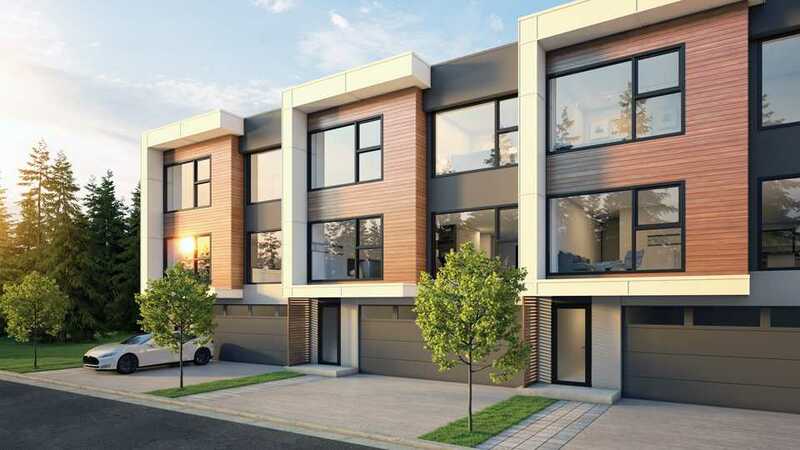 A boutique collection of three- and four-bedroom townhomes, Seymour Village homes feature large side-by-side garages and full-sized driveways, perfect for two cars and all the outdoor gear that the North Shore lifestyle affords.